Luka Doncic’s rise in the NBA shows how fast European players adjust in the league, Bogdan Bogdanovic concurs. 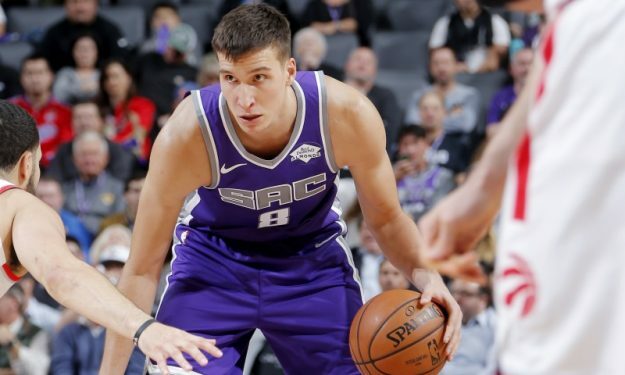 Bogdan Bogdanovic returned to action Wednesday night. He only scored seven points and the Sacramento Kings lost, but he is happy to be back on the court. “I expected to play way better, but expectations can sometimes be high. This was the first game I played from April last year. I felt good. Legs are good, knees are good. I’m not at 100%, but I’m healthy” he said after the game with the Toronto Raptors. The 26-year-old guard answered a question about Luka Doncic’s form: “I like the way he played. As you can see, European basketball is on a way different level right now. I think the European players are adjusting quickly and faster than players before. Now you’re able to see those things, see the rules, and see everything. If you’re smart, you just catch up quickly”.